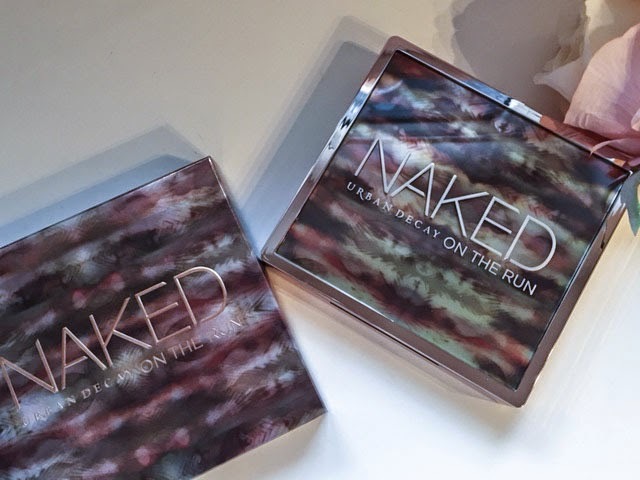 The Urban Decay Naked on the run Palette is a limited edition and really is a palette you can take with you on the run. 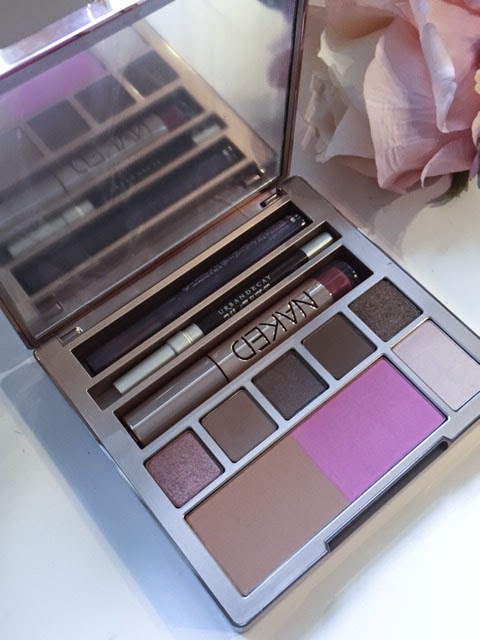 It has everything you need inside for that go-to look, it includes 6 exclusive eye shadows, Bronzer, Blush, Lip gloss, Eye liner and mascara all in one. The packaging is beautiful and is around the size of a CD case but it quite deep to accommodate for for the Lip gloss. It would have been nice if they has compacted the gloss slightly so it was not so thick but wouldn't stop me from buying it. The best part of the packaging I personally think is the large mirror, which is the perfect size when your on the go trying to touch up your makeup. I have always struggled with the smaller mirrors which can come with some palettes as they just never really work so this has defiantly filled that gap. 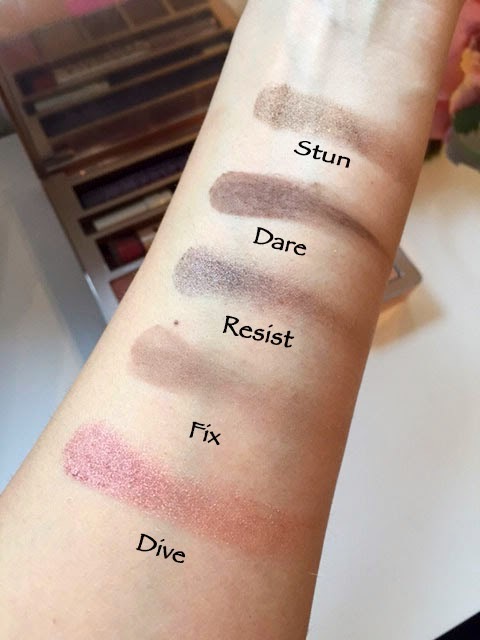 The shadows are great and a nice mix of Matt and Shimmery shades, so from left to right we have Dive, Fix, Resist, Dare, Stun and 5050 which is set separate from the other shadows and can be used as a highlighter as well. 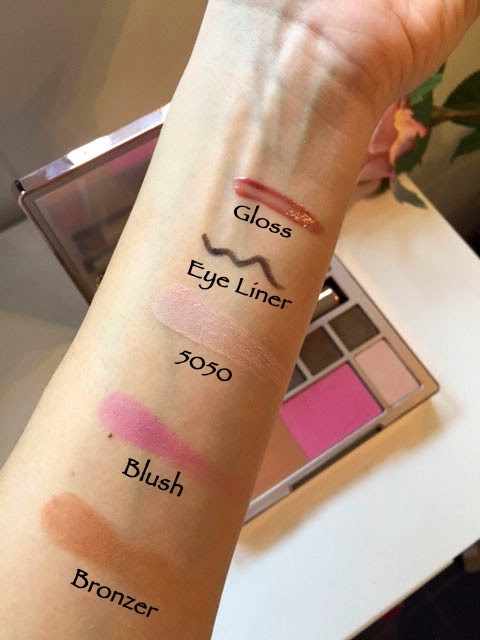 I love all these shades as I love a neutral colours, and it is a great palette to have in your handbag for work and if you want to switch things up for a night out you can by adding a touch of shimmer. Next up is the bronzer and blush, and on first glance they are a tad bright especially next to the neutral eye colours above them. However once I gave them a go they are not as bright as they seem, I started of with a small amount and just built up the colour to achieve the look I was going for. Last but by no means least are the Eye Pencil, Mascara and Liploss, and of which I am very pleased with. To start with the sizes of these travel items are very generous size which is good and is great value for money. 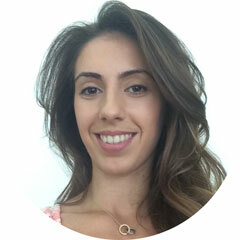 The 24/7 glide on Eye pencil is lovely, I had not tried it before but when you apply it on the lid it glides on so softly, which is great as your eye area is so delicate. The mascara is lovely, and does not clump your eye lashes together from what I have seen so far. I have only used it a few times so am still going through the trial period with this one. Finally onto the lip gloss, now I can not start without mentioning the size of this gloss how can you not love how much product you get in here. The colour of this lip gloss is perfect though and words well with so many looks, its a pretty neutral pink and not too bold which is amazing. The thickness of the palette makes it feel a little chunky. So overall I am extremley happy with the palette, what do you think? Ooh this looks amazing. I think I need this in my life! Maybe after payday though.